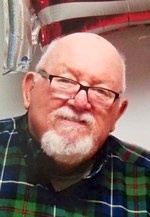 Harry Thomas “Tom” Losh, 72, of Olathe, KS passed away April 18, 2017 at Olathe Med. Center. Memorial service 9:30 am Tuesday, April 25, 2017 at First Baptist Church, 324 E. Shawnee, Gardner, KS. Inurnment with military honors 1:30 pm Tuesday, April 25, 2017 at Leavenworth National Cemetery, Leavenworth, KS. Memorial contributions may be made to the Disabled American Veterans. Arrangements: Bruce Funeral Home, Gardner, KS (913) 856-7111. Tom was born July 17, 1944 in Kansas City, MO to George William and Marian Louise (Mossman) Losh. He was a lifelong Johnson Country area resident. Tom graduated from Olathe High School and had an Assoc. in Criminal Justice from JCCC. He served in the US Army during the Vietnam War. He married Sondra Sue Cunningham on Feb. 27, 1964 in Gardner, KS. He was a retired detective for the Johnson County Sheriff’s Office. Tom loved traveling to Colorado and enjoyed riding his motorcycle. He was a member of Gardner Baptist Church, American Legion Post #407 and the Patriot Guard Riders. His granddaughter, Marian, was the light of his life and he loved spending time with her. Tom will be missed by family and friends. He was preceded in death by his parents and brother, William Michael Losh. Tom is survived by his wife, Sondra, of the home; son, Jason Thomas and wife Stephanie Celeste, Shawnee, KS and granddaughter, Marian.